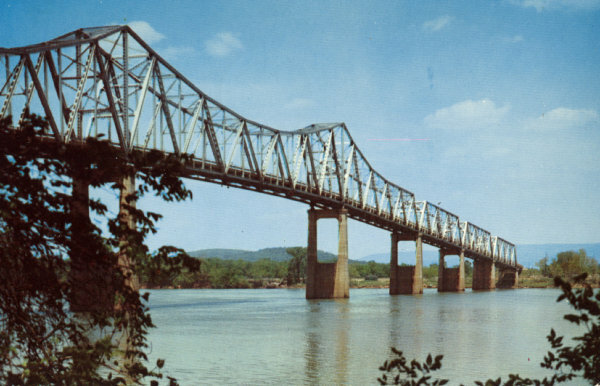 Back: CLEMENT CLAY BRIDGE located twelve miles south of Huntsville, Alabama. Across the Tennessee River. It is the scene of old Ditto landing where material was unloaded for many ante-bellum homes.